Shirley (Vilma Santos) is a woman who wants to be in control of everything. Working as a librarian in a public school, a firm "Shhh!" from her makes the students tremble in fear. But in her family, her unwarranted intervention in the lives of her children keeps her emotionally detatched from them. 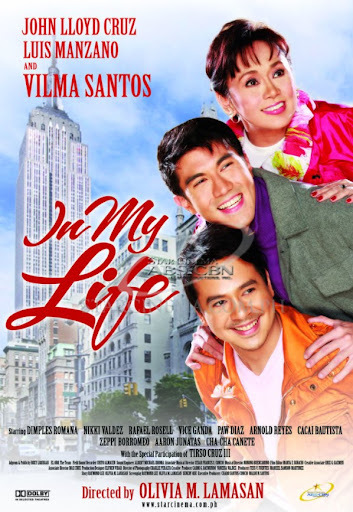 Realizing that she has lost the command she once had, she goes to New York to reunite with her estranged gay son, Mark (Luis Manzano). What Shirley doesn't know is that living with him in New York comes with a cost. She has to bear with her son's lover, Noel (John Lloyd Cruz) who is an illegal immigrant. Whenever Mark is not around, Noel makes it a point to help her establish a new life there, until their relationship blossoms into a real friendship. Things make a complete turnaround when Shirley feels betrayed that Noel has been keeping Mark's illness from her. But in the end, she realizes through the love of these two men the true meaning of motherhood and how to move on and live again.